~ Living the life of a Nomad!! Guy and I have been married of 47 years, and dated all through high school in Upland, California. I knew as soon as I walked into English and took one look at him that he was mine!! We have lived in 5 different states in our lives and are so lucky that we now can more of this wonderful country. We travel in our 2015, 45′ Monaco Dynasty, towing our Chevy Silverado. 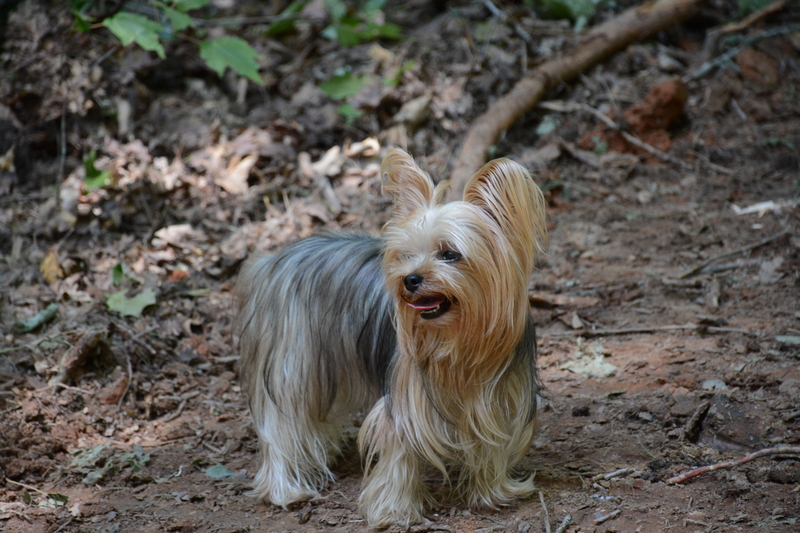 Our sweet LaciLou, a 4 lb yorkie, travels with us, she has a wonderful dog travel purse that she fits in very well and does not miss anything thats going on. Guy has worked for Seagate Technology for 30 years and finally retired in January 2015. We are very excited that we now have the freedom to travel this wonderful country. We have been lucky and have traveled overseas to many wonderful places, we have always talked about what we are missing here in the US and Canada. Guy and I are so glad that we have the ability to move around when and where we want and have the ability to interact with people in each area we visit. We have two wonderful children who live in Alabama, Stephen, who has one son Ryan, 16. Our daughter, Kristi, married to Jason, they have 3 children, Stephen, 21 who just started his 4th year in college, Mallori, 13 and Craig, 8. The camping lifestyle is a major part of our life and our childrens, we always took camping vacations as a family. Once we started this journey 2 years ago our children knew that the only way to keep up with us was to also purchase their own travel trailers and now have a new tradition of camping together. We sold everything we owned in Dadeville, Alabama, our house of 20 years, properties (which were our plan B), as well as rentals, we knew how much time all these things took and we did not want any ties or things that would hold us down. The house was sold as is, that meant everything that was in it went with the house. I will admit that was hard to begin with but as time has gone by and we experience new things we both look back and say its only “stuff”. We are both enjoying this new life we have chosen and the wonderful people that we have met along the way. It is so wonderful to know that we have new friends in all the states we visit. We may not keep in touch but hopefully they will read this post and know we appreciate their support. Thanks Kim! We should be down in Tampa at Lazy Days around April 12. Will keep in touch so we can hook up! Thanks Robin!! We are just following in Rubin and your footsteps!! We wish we had started this many more years ago! We are rolling! Heading to Gulf Shores, Al for the next 12 days! Our neighbors are coming down for a few days and then next week We are hosting our camping club at a new Rv resort! So we will be busy. Hey guys! We are bloggers and noticed your RV parked across from ours. We would love to interview you and you can promote your blog on our YouTube travel channel. Let us know if you are interested! I dont see many fulltimers talk about rentals that they had to deal with. That is our delimi. We are ready to full-time spring 2017 house going on market. We have several rentals and think we want to try keeping them and see how it goes. We have done a 5 month trip and several 1 – 3 month trips and been just fine. Few hicups but all handled. They are part of our monthly income. Deciding what to do will be important. We have been married for 48 years, and high school sweethearts. We have two children, our son Stephen, Kristi and Jason our daughter and son in law and 4 grandkids. Camping has been a way of life for us and our kids. We have had all the different varieties, tent, popup, truck/camper, and mini winnie. We will be traveling in a 45' Luxe Toy Hauler and just love it. We have both traveled overseas with my husbands company and now are very excited to travel through the United States with our home wheels and little Lacilou our 4lb yorkie. A journal of our travels and how we arrived at this moment in time! On the move in a big ol' BEAR! We're homeless. Intentionally. What planet was I on when I agreed to this?